If Zuma was painted by an artist with emotion and fire in their soul it would eventually evolve into a game with just as much addiction as before but infinitely more beautiful. Rarely have I seen an Iphone game with such beautiful graphics. The apps idea is simple and very like Zuma.But the execution is amazing! The backgrounds for this beautiful app must be seen to be believed, I've shared one above, but it really needs the retina display to do it full justice. The music adds dramatically to this fun and beautiful Iphone app too. By all means try the lite version first but I'm sure the full version at 99 cents will soon be on your Iphone or Ipad. The Android market has its fill of action games but ROBO REVENGE looks to be very special indeed. With a charismatic main character-the robot in question-The game can get quite frantic as in 2.5 D isometric view you are manically jumping,ducking and avoiding the lasers and bombs from multiple enemies. BEST OF ALL ITS FREE FROM THE ANDROID MARKET! We are looking for complex and long term projects! Highly skilled and professional team of developers, desingers and managers! Our specialization: 3d augmented reality, image&face recognition, client-server b2b solutions and other compex projects. platforms: iPhone, Android, iPad2, Symbian(Nokia) and Windows. The American Numismatic Association announced today that users of Android-based smartphones can now read The Numismatist electronically. While the app is free from the Android Market, members are required to login in order to be able to read The Numismatist electronically. This expands the ANA’s electronic reach following the release of their iPhone app andHD version for the iPad. You can read “Review: E-Numismatist Is Worth Its Quirks” for more about the iPhone and iPad apps (rated MS63). Since I do not own an Android device, I am inviting a guest reviewer for this app. 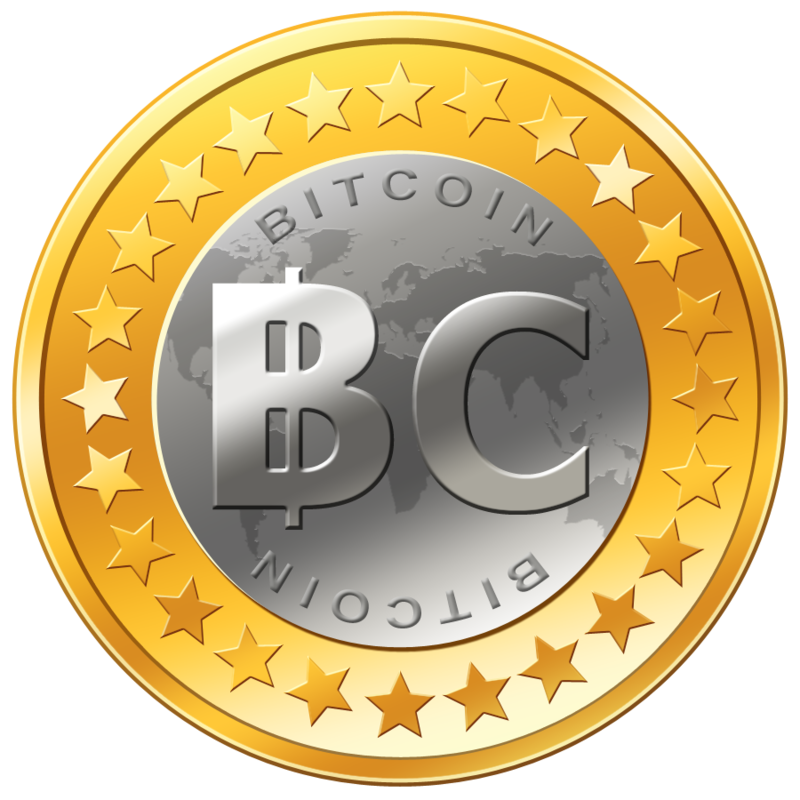 If you are an ANA member with the ability to log in and read The Numismatist electronically, I will publish your review here on the Coin Collectors Blog. Your review will be a great service to the numismatic community and you will have my gratitude. DoInk runs a website with over two hundred thousand artists on it! That's a lot of artists. And it leads me to one conclusion DoInk knows what it's doing when it comes to creative art and animation. Go on their app description on the market and you'll find a bunch of buzz words that mean nothing to me but should mean a lot to the dedicated graphic artists amongst you-powerful vector tools,key framing and bezier curve editing is some of the jargon thrown out but more importantly look behind the jargon and you'll see something very special indeed. The app is designed to be used by complete beginners with not an artistic bone in their body or seasoned industry professionals.Easy to use but powerful!A drawing editor;composition editor;props library containing an extensive collection of reusable drawings and animation clips and numerous export options can all be found in this amazing drawing app. Let your creative side free and download it now! We really like the look of this. Coming from indie Portugal based studio Wingz Studio this Ipad puzzle game looks like it could seriously take on "Cut the Rope" on many fronts including addictiveness; craziness of its character; sheer unadulterated fun and of course the inevitable sheer head scratching one more go frustration that a brilliant Ipad Puzzle game like this engenders. There's the little blue fellow "Z" in the bottom left, crazy ,cute and just about to frustrate you as you use the strings to draw a path for him to collect all the stars. Bounce him around using the elastic string too. A definitely crazy app puzzler with all sorts of hazards to get your grey matter working. Not only do you have to puzzle your way to getting all the stars but you've also got to watch out for the bombs and lasers too! I'm no dietician nor any kind of cover model for magazines but I've used a few and know of more than a few weight loss apps being used by friends and family, especially following the Festive season and all inclusive Summer Holidays. 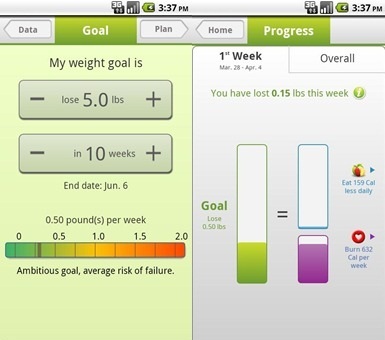 Like any sort of weight loss these apps will only give you what you put on. Please use them wisely and add some sort of exercise routine and you should start to see some results . Give Runkeeper a go to keep on top of your fitness and have fun at the same time. the apps that you can get to lose that weight. Noom Weight Loss gives you easy to use packages to reduce your weight. You can start by setting up a personalized plan to lose your weight. Graphs and progress bars are also available to help you in planning the process. You can improve your eating habits through diet and food tracker management.And to make it even more fun your actions can be shared amongst friends through Facebook or Twitter. This free weight loss app for Android and IPhone is easy to install and once installed will hopefully help you get rid of the weight and keep it off. A name that I've been seeing and recommended a number of times is Noom Weight Loss. Noom Weight Loss is a popular weight loss app available in the Android market for helping the smart phone users to lose weight. This free weight loss app includes exercise tracking and food logging amongst other things, so will go well with your new Runkeeper app! Tracking every activity including your eating habits, weight loss exercises like walking, yoga practice, etc. are possible with this weight loss app. 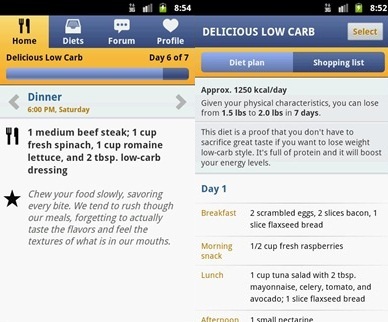 Diet Point is another successful weight loss app that gives you the necessary push to lose that weight. Many describe it as a wonderful dieting tool. All the dieting tipsfrom around the world are available on this free weight loss app. You can set the app as your fitness trainer or a diet manager. You can keep in touch with fellow dieters; with the sharing feature in the app.Day to day guidance is given on every meal. Trackers, calculators, progress bars, reminders etc. are some of the other functionalities included with the app. Track and calculate ProPoints ® values, log your weight, get food ideas and much more. Get comprehensive access to weight-loss tools and info included with a WeightWatchers.co.uk subscription. You’ll find the ProPoints values of all your favourite foods as well as over 1,000 tasty recipes. You'll also get all the information you need on ingredients plus compile your own shopping lists. A new search engine tool has just been released on the Android Market, called Download Engine. It is an exciting and very powerful web search tool; aimed at speeding-up and enhancing the overall web downloading experience. The search engine instantly locates the entire set of links, hosted in popular file sharing providers, namely, RapidShare, Megaupload, MediaFire, FileServe and Wupload. A link is then activated by the user, to complete the downloading process. • All types of files can be located by the search engine and subsequently downloaded by the user, quickly and effectively. • File extension specific searches are possible, in audio (mp3) and video (avi, mkv & mp4). • Segmented files with their constituent parts stored at different host providers, are automatically located and the partitions are displayed in the correct order. Speedy downloading of the entire file is thus greatly facilitated, amplifying user satisfaction. • A simple menu invites the user to enter the file name to search and the web file hosting provider(s). In addition, any special search requirements, such as the desired file extension, can be provided. • A large number of results are presented at lightning speed on a single screen that can scroll up and down, to enable the user to quickly identify and download the file. This app will bring a whole new sense of speed to the Android Download experience. Sometimes there comes a time, even in this modern connected age when a person simply can not use his phone. I'm writing this post in sympathy for a soldier in Afghanistan. he emailed me to ask for advice about a problem he had. The problem was that despite having internet access he was not able to use his phone for security reasons(and even had it confiscated from him for security reasons) Missing his wife he decided to buy an Ipod Touch, which he was allowed to have, so this article is going to explore ways in which an Ipod Touch can be used just like a phone. iMessageFree text messaging comes to iPod touch. You and your best friend text each other all the time. Even when she’s sitting right next to you. With the Messages app on iPod touch, you can text any iOS 5 device using iMessage. And it’s free and unlimited over Wi-Fi. Send photos, videos, locations and contacts. Text one-to-one or as a group. Get delivery receipts so you know your message was received. If your friend has read receipts enabled, you’ll know your text was read. Messages are securely encrypted. And if you have more than one iOS device, iMessage keeps the conversation going across all of them. With the Tru App on your computer, you can call other Tru App users for free, and make low-cost VoIP calls to any landline or mobile around the world. Tru App works across PC, Mac and Linux, plus a range of mobile devices, and is free to download. Free international calls! Please have your friends install Easytalk, you can have free SMS message and free international calls between you and your friends. EasyTalk is a different kind of phone app. It builds its contact list off of your iPhone address book and Facebook friend list and lets you send FREE text messages and make FREE phone calls to them, from anywhere and at anytime, as long as your friends have EasyTalk installed on their iPhone/iPod Touch/iPad. There was a huge demand for my previous article about Apps for Autism. So much so that it got me thinking that despite technologys often portrayed cold front there are many poeple and organisations out there using smartphones to make a difference in people's lives. I set out to find some of those organisations and have featured one in this blog that really stood out for me. Moms with Apps was one of the best that I came across. As they say "a collaborative group of family-friendly developers seeking to promote quality apps for kids and families" There website is one of the friendliest I've come across with an enormous amount of developers promoting there apps on there. All the apps have been vetted and are categorised to make it easy for parents to find the right one for their child. Art;math;music and creative play are just some of the categories that they list apps in. Best of all though is that they have been so kind as to make an app that catalogs all the brilliant child friendly apps on their website which is available for free on the iTunes App Store. As a caring parent I'm very impressed with what MWA have done and wish them all the best. If you log on today you can find some of the best kids apps for halloween as well as details about their Freaky Friday Download Party ! Who doesn't remember the Flight Control apps with equal amounts of fondness and wariness. Fondness naturally but wariness because of the sheer manic, time-sapping situations that you would find yourself in trying to land those planes. You can imagine how this game would work really well , especially on the iPad. I'll give you some of the developer's patter and then another screenshot and you'll easily be able to imagine how much fun this app would be. Trains will move around the track, change the junctions on the track to alter each trains path, the aim is to stop the trains from crashing into each other, it’s annoyingly addictive....There are two game modes and three different types of trains-slow and steady to speed demon. Looks fun doesn't it? And it's free with extra levels being available as in app purchases. So move over Flight Control because Ghost Train is gonna take over all your free time. As the world starts to become more aware of the power of Android and IPhone so a shift has occurred in attitudes. Now Apps are not just for social networks, gaming and entertainment but can have a genuine role in helping people. Hence this post about apps for autism. When I saw that "apps for autism" was one of the most searched terms in recent weeks on the internet I started to see why. Smartphones-which we predominantly play apps on- are devices whose very legacy and foundation is to essentially communicate. That ticks off point one , a device made for communication is surely the best thing to get someone with communication disorders a helping hand. As for the second point, apps are not like traditional games or activities because they originate on a portable device they are generally made for shorter bursts of entertainment or work, you are unlikely to play a 100+ hour epic game on your phone , nor are you likely to read the entirety of "War and Peace" from your Iphone or Android's small screen. Create pictures, flashcards, storyboards, routines, and visual schedule. Record custom audio in any language. Converts any words with Text to Speech that do not have custom audio recorded. We include 100+ pictures (first 5 have audio) to get you started. Add pictures with your camera, or from your camera roll, or use online image search. Utilize as audio visual prompting tool or AAC device. We develop some of the finest eReading apps available, and would like to invite you to scroll through the various pictures that come from our most recent book; 'Gulliver's Travels'. Model Me Kids® leverages iPhone app and iPad app technology as a tool for helping teach children with Autism and Asperger Syndrome. Extend the lessons in the Model Me Going Places™ DVD with a portable visual teaching tool. The App includes six of the locations featured in the Model Me Going Places™ DVD. For iPhone and iPod Touch. Just released for iPad. Please explore their website as they have a lot of good free apps for autism on there. App Name: Model Me Going Places™Model Me Kids® leverages iPhone app and iPad app technology as a tool for helping teach children with Autism and Asperger Syndrome. Extend the lessons in the Model Me Going Places™ DVD with a portable visual teaching tool. The App includes six of the locations featured in the Model Me Going Places™ DVD. For iPhone and iPod Touch. Just released for iPad. I'll leave it at that for now. I hope you found this useful and if you did please let me know and I will add to it in the following weeks.